Green Britain is turning yellow… With rainfall at a premium for almost 2 months, gardens have been struggling with not one but now two heatwaves. 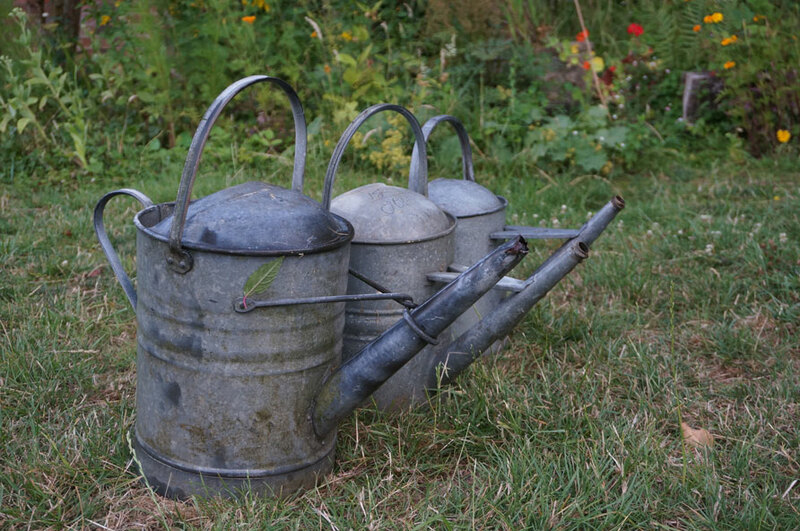 Here are a few tips to save water and to prepare the garden for drought. How to water your plants ? Consider your soil type. 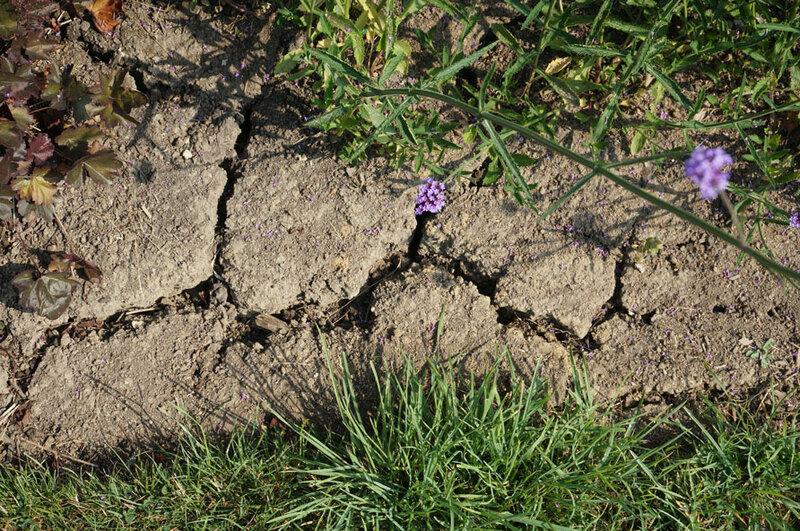 Clay-based soils can be watered less frequently, but need more water whilst sandy soils need more frequent watering but in less quantity. With soil that retains moisture well, it is better to give your plants a good soak every two days rather than a daily sprinkle. Water in the evening or early in the morning to reduce water loss through evaporation. Water the base of your plants rather than the leaves. It helps to reduce evaporation and prevents diseases and leaf damage. Add organic matter (compost, horse manure…) to improve the soil structure and make it more moisture retentive. Cover the surface of your soil with mulch can be really useful to reduce water loss. It will also keep the weeds down. Try to apply mulch between Autumn and Spring while you soil is still moist. An irrigation system is a good option because the water goes where it is needed, but be careful to use it properly. Change the timer settings gradually and reduce the watering slightly over the years so your plants won’t become dependent on your irrigation system. I’ve seen this problem quite often. The plants don’t develop any root system as they receive water daily and so as soon as the irrigation system stops they are not able to reach the deeper layers of soil. 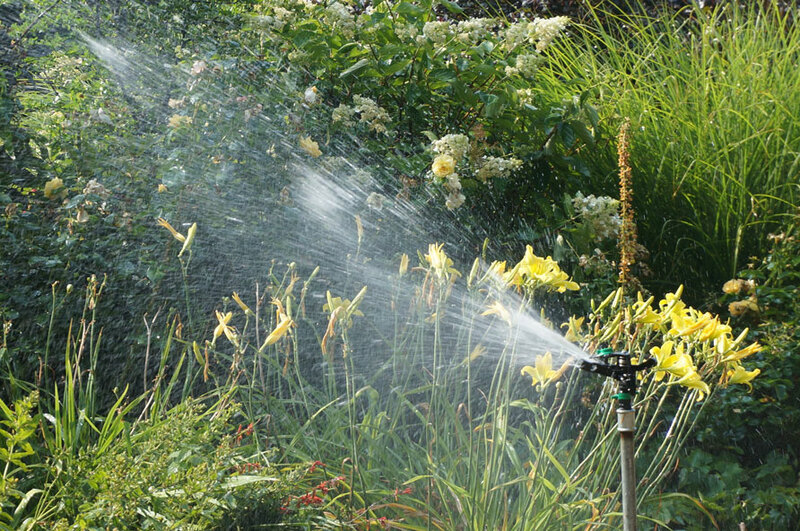 In garden design planning, irrigation systems are only supposed to help your new plants to settle during their first 2 or 3 years or at times of exceptional heat. A drizzle or a rainy day is not enough! If it rains quickly during a day it might not be enough for your plants as the water won’t reach the deeper roots. Also think about where your plants are localised. The ones along a wall won’t receive much water. Planting should be done in the Autumn or in early Spring while the soil is still moist. Autumn is the perfect season as the ground is still warm and the roots will have time to establish themselves before the cold. If the construction of your garden is completed during summer I would advise patience. Start the planting phase in the Autumn. You will avoid unnecessary plant loss and save hours of watering. Let your lawn turn yellow ! It’s another common-sense tip but your lawn will recover after a heatwave. With more extreme weather episodes, it is better to work with nature. Make sure you put the right plant in the right place. Working with a garden designer is a really useful way of helping you to chose your plants carefully. That’s why planting design is an important part of our design process. I carefully design a planting scheme that incorporates your personal style and your soil conditions (soil types and water availability). Collect rainwater. Given that it rains a lot in this country, it would be a shame not to use rainwater for your plants. It is a cheap and environmentally friendly approach to garden maintenance. 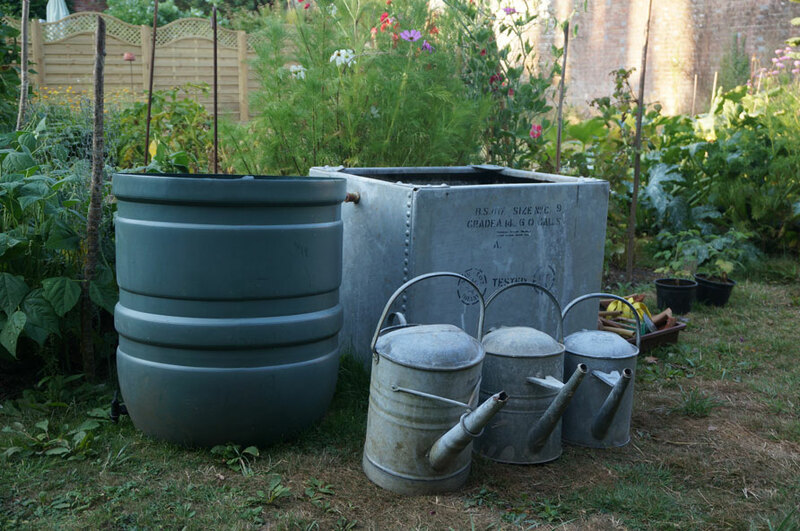 Water butts are an easy way to collect water from your roof but they won’t be enough if you are facing a heatwave. 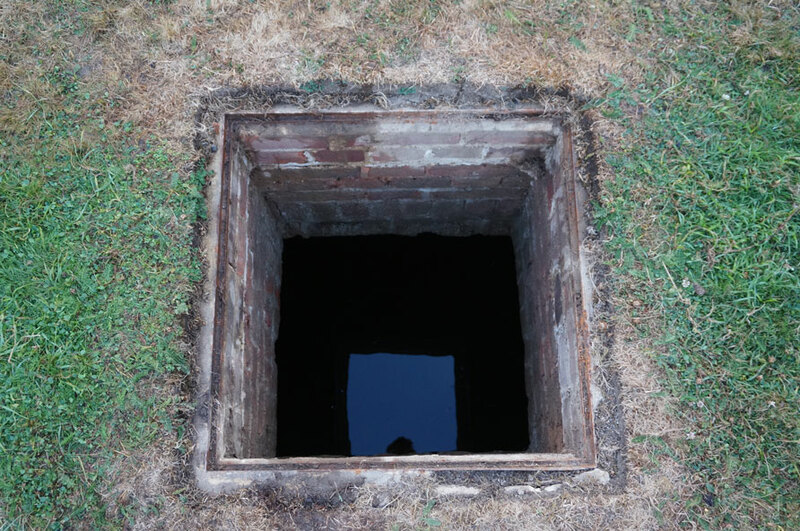 You can install an underground storage tanks for greater storage capacity. It might be something to mention to your garden designer as it requires some groundwork as they are can be quite large.